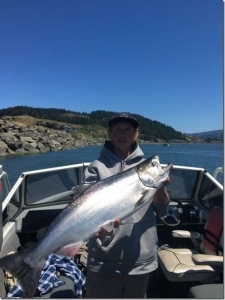 Located near the towns of Klamath River, Crescent City & Brookings Oregon. 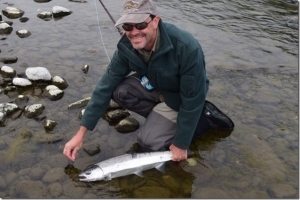 We fly fish the Lower Klamath with both fly and spey rods as in August steelhead and salmon start to appear with migrations getting more and more intense as October approaches. 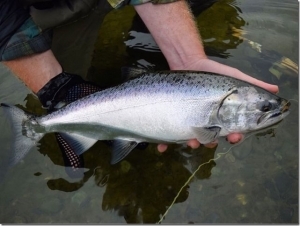 Then if the rains come after October 1st more steelhead arrived and by November it’s game on for fly fishing this river. $300 per person for Summertime Jet Boat Trips. 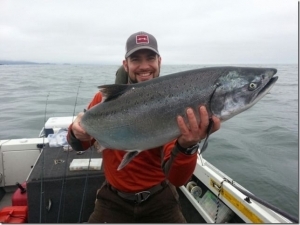 Ask Us About Fly Fishing Steelhead & Salmon In Northern California Coastal Rivers On Up Into Oregon And Lodging too. 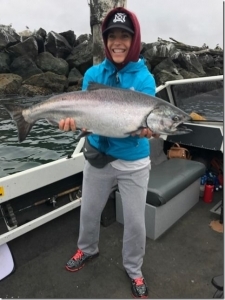 We also offer trips on the Sandy, Clackamas, Metolius, Deschutes, Rogue, Umpqua Rivers, McKenzie, Santiam, the Fall River, Crooked, and most of the Cascade Lakes in Oregon. Trinity, Smith & Eel Rivers in Northern California. 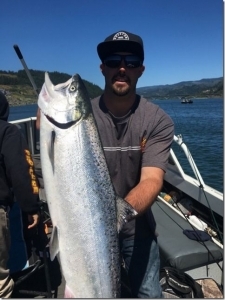 When you land a Lower Klamath River Steelhead you’ll want to come back again next year for this amazing journey up this historic California river. 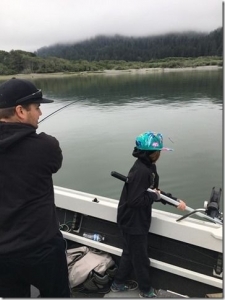 The Klamath River is one of the most dramatic California coastal rivers where seeing wildlife such as bears and bob cats isn’t too rare here, much of how it was a hundred years ago still exists here. Our lodge rests at the mouth of klamath river where we take you daily on floats on the klamath river and other nearby rivers. Our lodge can accommodate larger groups. Has 6-8 beds. 2 kings, Queen, double and 4 singles. Three bed rooms, two with their own bathrooms, a loft with a king sized bed and the office has two singles. 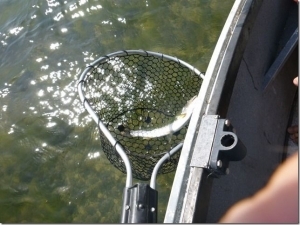 The pricing includes lodging meals and fishing. 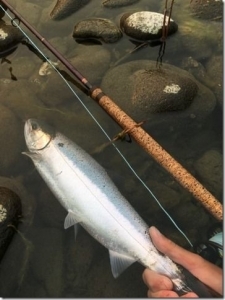 Lower Klamath Estuary For Sea Run Cutthroat, Steelhead & Salmon On The Fly!